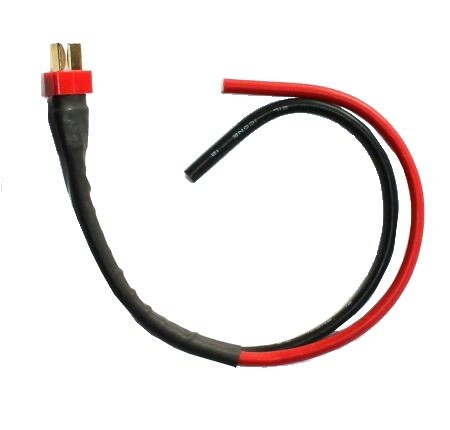 14 AWG cable already soldered to a type XT60 to connect your aircraft to the power battery. 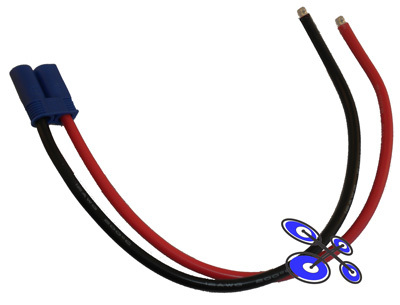 12 AWG cable already soldered to a type XT60 to connect your aircraft to the power battery. 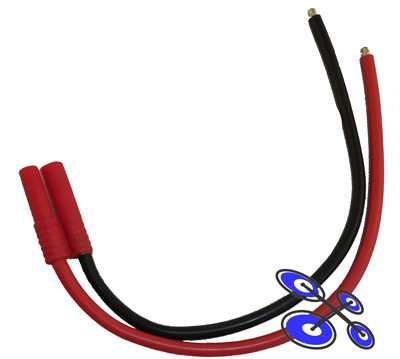 12 AWG cable already soldered to a type XT90 to connect your aircraft to the power battery. 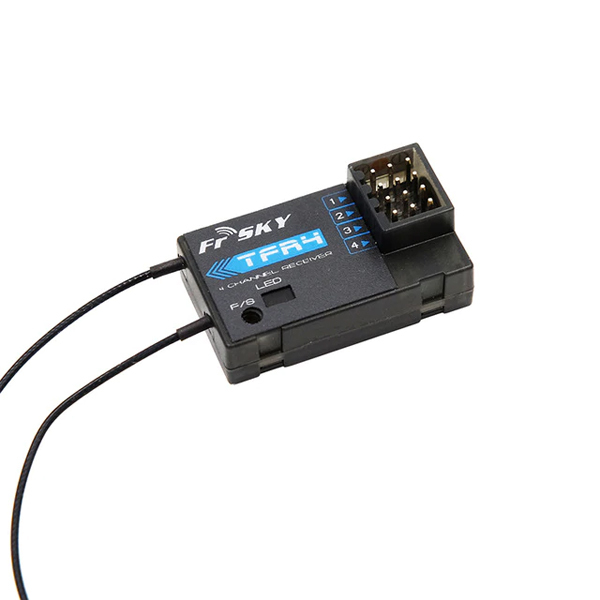 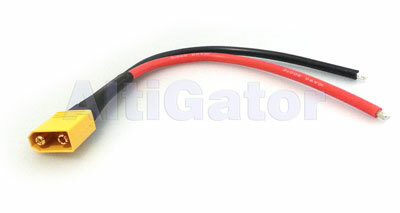 10 AWG cable already soldered to a type XT90 to connect your aircraft to the power battery. 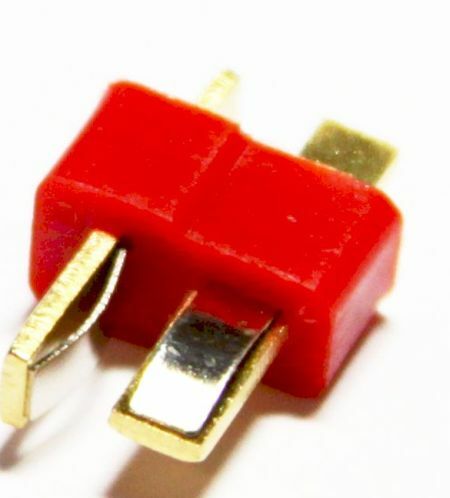 High current EC5 (5mm) connector. 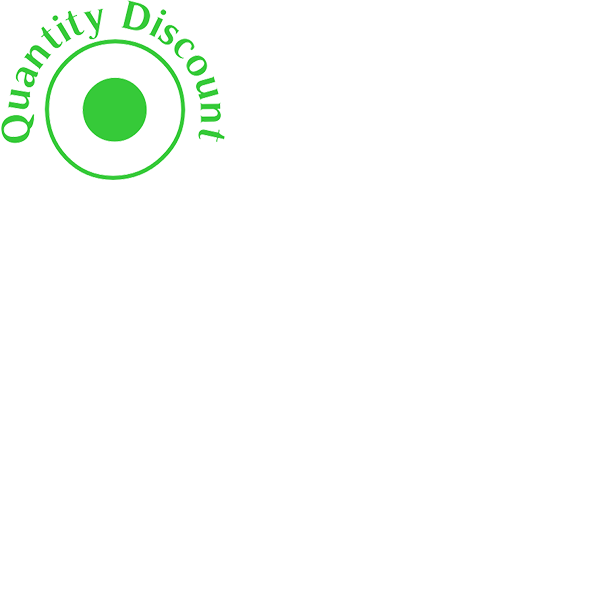 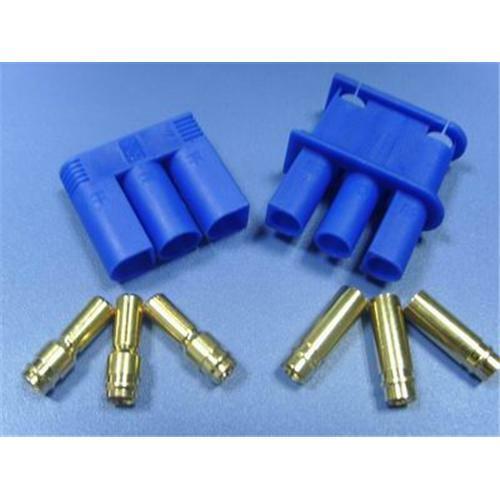 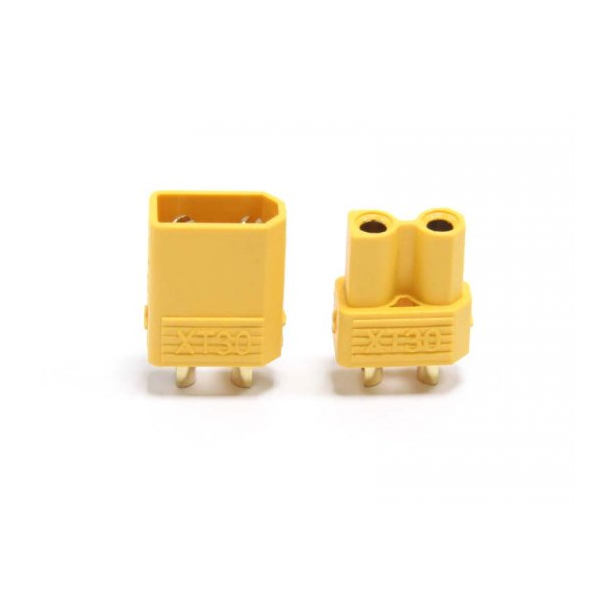 This connector allows current up to 120A. 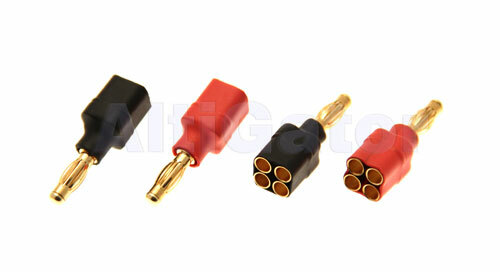 High current bullet (6mm) connector. 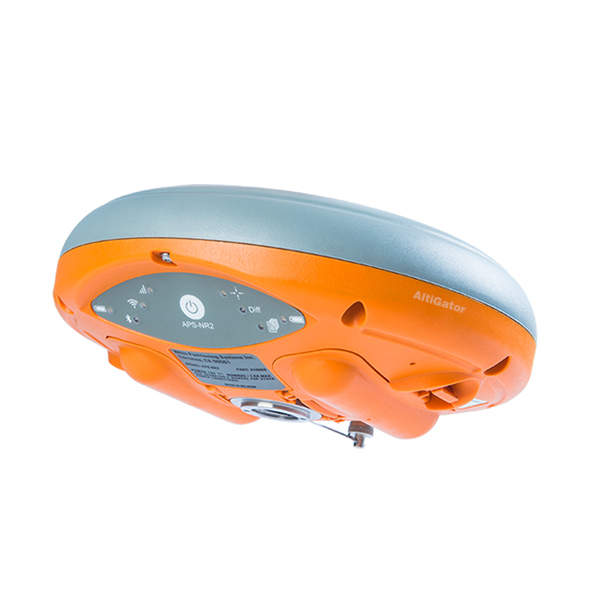 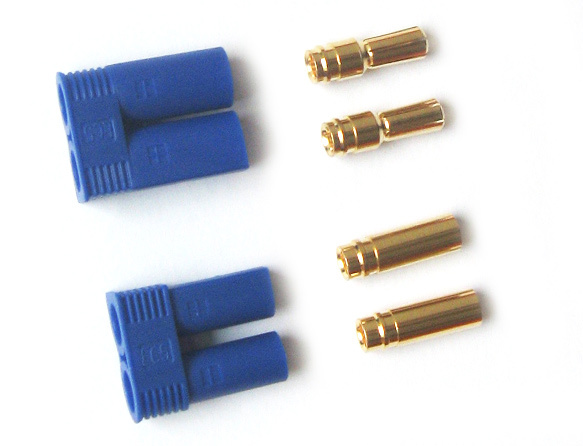 This connector allows currents over 200A. 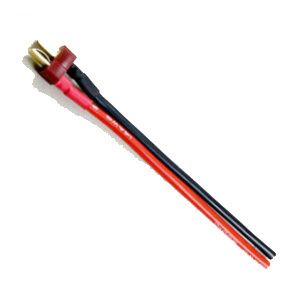 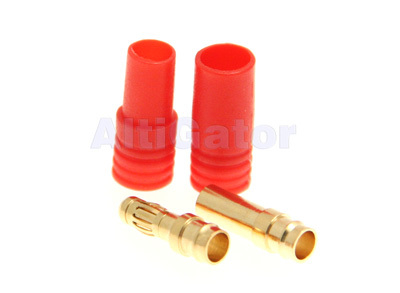 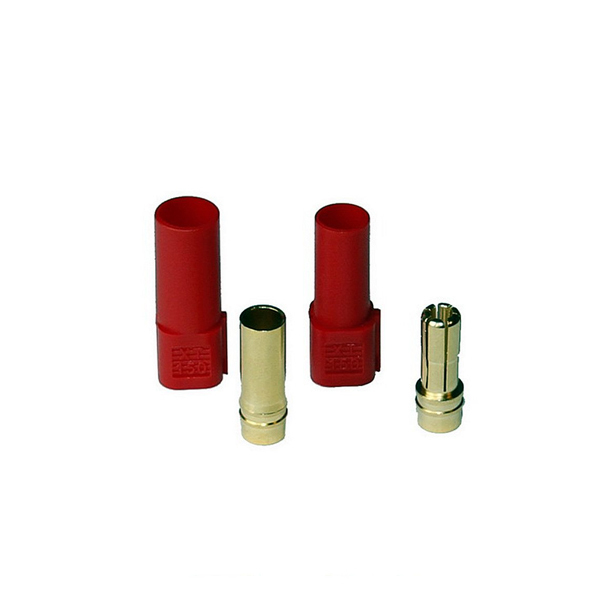 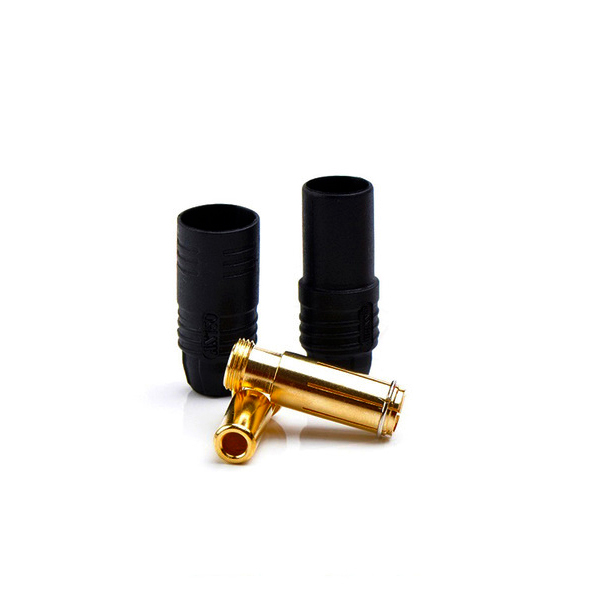 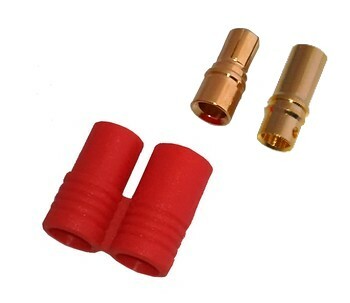 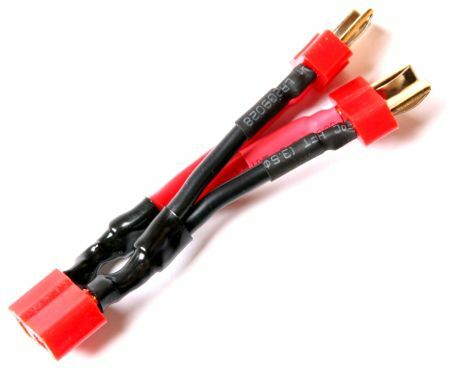 Bullet 3.5 mm connectors pair (male & female) with red isolation.